The big question is can the filly defend her crown in the Arc as she returns from a lengthy lay off through injury? The indications from connections are that she retains all her ability and if she can bring that same three year old form to the table then it is hers to lose and she was simply different class last season. 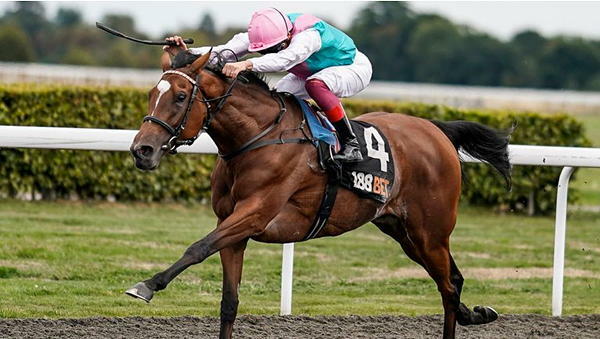 Enable returned at Kempton in the September stakes and was a short priced favourite to make a winning return. She was supported heavily before the off with punters looking at the latest Dunder review. She faced off against a formidable foe in the 2018 Hardwicke Stakes winner Crystal Ocean. This was a firm test of her metal as the ever-reliable Crystal Ocean has been in top form throughout the season. She was receiving 8lbs so anything but victory would have been seen as a major negative to her Arc credentials. Enable broke well and was always travelling well in front as Frankie was dictating the fractions perfectly. Turning in she showed her trademark turn of foot and put the race to bed in a matter of strides showing she retains that ability. Now the key question will be can she back this up in the Arc as connections will hope to stay away from the dreaded bounce factor for returning horses on their second starts. Looking back at her record breaking three year old campaign she really shot on to the scene with a runaway victory in the Oaks over the short priced favourite Rhododendron. She then followed this up in the Irish Oaks again destroying a decent field by over 5 lengths stamping herself as the leading 3 year old filly in Europe. Enable was then stepped up to take on the Colts and older horses in the King George at Ascot. She was very well supported and again showed herself to be different class in running away from a high class field by just over four lengths. In the process she posted a RPR of 128. Her penultimate start was in the Yorkshire Oaks in what looked hers to lose as she was sent off at odds of 1/4. She was popped out in front by Frankie and made all to win easily by 5 lengths. This was the performance that truly stamped herself as the most exciting horse in training on this side of the sea. Her final start was of course in the Prix de L’Arc de Triomphe in which she was sent off at a shade of odds on just showing the class she possesses. She travelled very keenly throughout the contest but turning in to the straight was angled out and quickened to lead just under two furlongs out. She was ridden clear again looking a class above of all else in the field with just Cloth of Stars making up late ground to get within two and a half lengths. This was also to be her top RPR of 129. Enable now heads to the Arc following her impressive comeback as a very short price favourite to follow up and cement herself as one of the leading horses in the last decade.